We salute the Men & Women of the Armed Forces! 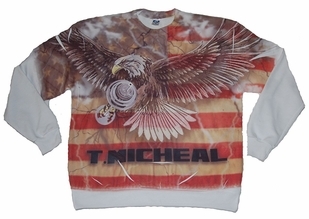 Show off your patriotism with personalized military muscle clothing. After sacrificing time and energy serving your country, you should show it off. Our wide collection of patriotic-muscle clothing provides plenty of opportunities to showcase your love of the good ole US of A. Living in the United States is a great privilege for many reasons, including the freedom to work out and enjoy healthy activities indoors and outdoors. Show your love for the home of the brave with our signature military muscle clothing designs. We have everything you need to amp up your patriotism when you head out for a workout. Our retro-styled t-shirts, sweatshirts and pants make excellent talking points when you're at the gym pumping iron. Whether you want to show off your service or show your pride for a family member serving in the military, these designs help you do it. 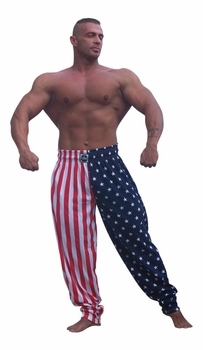 If you really want to show your patriotism, then slip into a pair of patriotic baggy flag pants. With stars on one side and stripes on the other, you'll encompass the American flag as you work on your physique. The comfortable and lightweight pants provide an excellent option for weight lifting. Want to show your American pride, with a little more subtlety? Check out the printed big top sweatshirt. 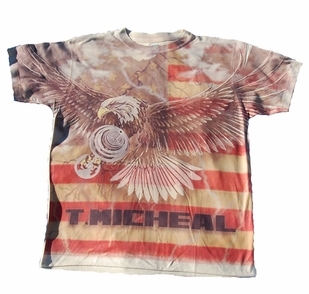 This is one of our most popular shirts and features our logo amid a patriotic background. The fit is specially designed for a comfortable, flexible sweatshirt. Try one on and you'll see why so many people order it. The sweatshirt is available in a variety of colors and sizes ranging from medium to 2XL. If you want to feature a more rugged side, then select one of our darker-styled t-shirts. 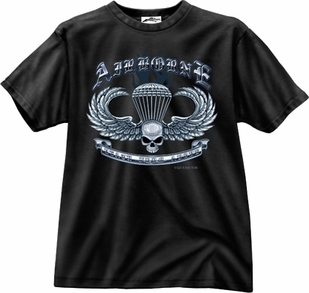 Some of our most popular t-shirts include a Marine's skull t-shirt, a screaming eagle t-shirt, and the U.S. Army Sniper T-Shirt. 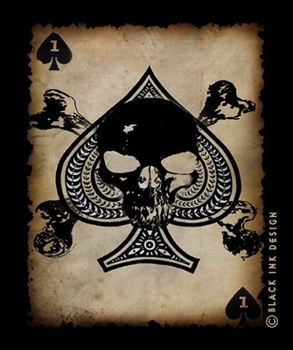 One of our best sellers, the Death Spade t-shirt, is 100 percent cotton and shows off a skull inside a spade on an olive green background. The shirt is available in extra-large. Heading to the gym or out with friends for a game of basketball or a round of Frisbee-golf is a good excuse to pull out your new stylish duds. In addition to looking cool, the lightweight materials make it easy to move around ensuring an uninhibited performance.